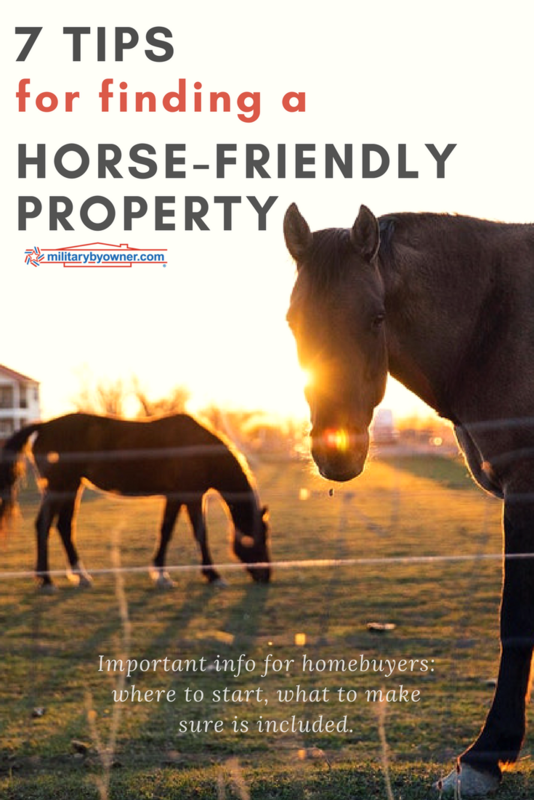 If you intend to buy a horse-friendly property, you probably know it’s not the same as buying a standard piece of property. Not only are there many variables you need to consider to find a suitable property, but there’s also a separate list of rules and regulations that will require lengthy research. If this is your last active tour with the military or you’ve already begun retirement, then now might be a good time bring your beloved horses out of boarding and home with you! 1) Hire a Realtor or real estate agent to help in your search. Now, more than ever, Realtors and real estate agents are valuable resources when it comes time to buy larger property. An agent can help you understand the current market, the area, and negotiate legalities. When shopping for a larger, horse-friendly piece of property, your focus needs to be on the land itself, rather than what’s on it. Think bigger than simply how close you want to be to town or neighbors, or even accessibility to the nearest base. Make location the foundation of your search. 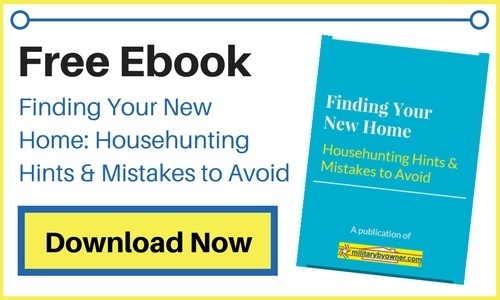 You need to approach this property hunt with the understanding that you can change the house or barn, but you can’t change where the property is. 3) Understand local rules and regulations. Understanding zoning laws, permissible animal units allowed, drainage, and manure disposal are all things you need to think about. Thankfully, your agent should be able to help you understand these laws and help you find a suitable property. 4) Ensure adequate water supply. You’ll exhaust yourself toting water around the property for the horses, so make sure that the land gets plenty of gallons per minute (gpm) and that there are a number of access points, whether it be well or city water. If the water supply isn't where it needs to be yet, take a look at how much it would cost to create more access points. As military families, we don’t have to think much further than a few years down the road. But when you’re looking into retirement, there’s a stronger sense of permanence. As you look for horse properties, you need to consider where you see it in five, ten, and twenty years. Perhaps there’s enough space for your house, a barn, and a couple horses now, but what happens if you want more horses and need a bigger barn? How about if you choose to add on to your home or even add a second home for your parents or in-laws to live? 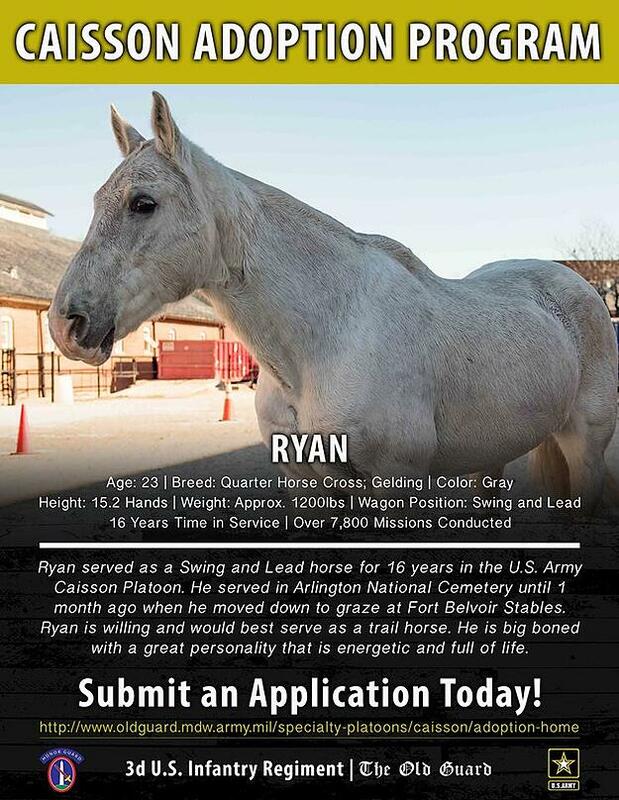 Who knows, once you’re retired and settled on some land, you may feel led to help a retired Caisson horse through the Army's Caisson Adoption Program! See below for an example. As you look for these larger properties, make sure that you have room to grow, should your ambitions evolve over the next several years. 6) Be willing to compromise. Don’t expect to find a property for sale that’s the right size, in the right location, with the perfect house, and the perfect barn. Instead, you need to think about what you’re willing to compromise on. Are you willing to tear down a barn and rebuild it if you find property with the right house, or vice versa? Building a barn could mean following more regulations you’re not familiar with, since it’s an animal housing unit and environmental issues come into play. And building a house can be more expensive. However, if it’s your forever home, then starting from scratch on a house might be worth it. If you choose to build a new home, consider what you’ll do in the meantime. Are you willing to purchase a trailer home and live on the property in the meantime? Or, will you need to look at rental homes while your new house is getting built? These are all things you need to think about as you’re looking around at properties. 7) Research your financial options. Military spouse Kristen Smith shares that appraisals for properties intended for agriculture can be different than most. So it’s worth your time to look at all of your options, including local credit unions. Learn about VA loans and how they can help you purchase land and build. As you plan your next or final PCS move, start your house hunt on MilitaryByOwner. By using the "special features" option under advanced search filters, you can customize your search to include your horse-friendly needs!